Rug up for winter with the latest designs from two of the hottest names in the fishing industry. The second collaborative release between Daiwa and Tide will have you dressed to impress and ready to hit the streets and the water. 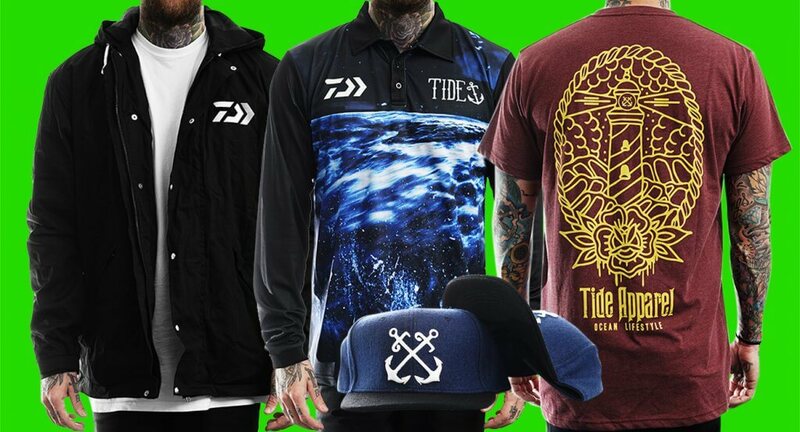 The new winter range features exciting designs by Tide Apparel spanning sizes from S-XXXL, presenting a range of Tide’s fantastic apparel you won’t be able to resist. The range includes ten pieces, from ultra warm black hoodies and jackets, through to lighthouse and octopus inspired designed T-shirts, embroidered caps, beanie, face mask and the moonlight design jersey, this is a range tailor made for looking cool and staying warm, and can be worn just about anywhere. Look good this winter when out on the town or out on the water, with this latest collab from Daiwa and Tide Apparel.